Information and Communication Technologies (ICT) are extremely influencing every discipline under the sun including Education. It is affecting every aspect of education from teaching-learning to assessment and evaluation. It improves the effectiveness of education. It aids literacy movements. It enhances scope of education by facilitating mobile learning and inclusive education. It facilitates research and scholarly communication. Impact of ICT and its potential for the education field is manifold. It positively affects all the stakeholders of the education field. 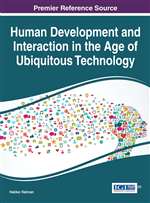 The current chapter discusses the same along with the various challenges posed by ICT. The challenges include economical issues, educational and technical factors. Appropriate content, Design and workability of ICT also play a crucial role in adoption of ICT in the education field. The chapter delineates in brief the challenges and probable solutions. To succeed in “Education for All” movement, access to education should be provided to all irrespective of gender, physical, geographical, language, economical, social or any other barrier. The poorest people, residents of remote areas, and the most disadvantaged populations - for example, girls and members of ethnic and religious minorities, physically challenged people are the main category of people to whom education should reach. To deal with varied needs of learners from different stratum is a complex issue to handle in a traditional mode of teaching learning. It demands for an open and flexible approach of education and distance or virtual modes of learning. These advanced demands of education delivery cannot be met in the developed and developing world without the help of Information and Communication Technologies (ICT) (UNESCO, 2009). The impact of ICT on trainers, learners, researchers and the entire learned society is tremendous. It is changing the contours of the education delivery system in the world by enhancing access to information for all. It also ensures effective and inclusive education. ICT supports the concept of open learning where the thrust is upon enhanced student access and the development of student autonomy. ICT can play varied roles in developing an effective learning environment. It helps in offering access as well as enhances the learning environment. It acts as a teacher and explains core content concepts and addresses misconceptions. It acts as a stimulant and fosters analytical thinking and interdisciplinary studies. It networks a learner with the peers and experts and develops collaborative atmosphere. It plays the role of a guide and mentor by providing tailor made instructions to meet individual needs. Online learning facilitates learning through digital mode. With the help of multimedia, it enhances effectiveness of teaching-learning and hence proves crucial for early learners, slow learners and differently abled learners. Studies of the effect of technology-enhanced instruction on achievement and studies of student attitudes regarding learning with technology have been reported (Salaberry, 2001). These include increased motivation, improvement in self-concept and mastery of basic skills, more student-centered learning and engagement in the learning process, and more active processing, resulting in higher-order thinking skills and better recall (Brownlee-Conyers, 1996; Chenoweth, Ushida & Murday, 2006; Dwyer, 1996; McGrath, 1998; Stepp- Greany, 2002, Weiss, 1994). Additionally, there seems to be a beneficial multimedia effect, especially for low achieving students, when it is used to illustrate concepts and organize factual information (Nowaczyk, 1998). Modern ICT tools not only deliver the content but also replicate formal learning experience via virtual learning. The intention of virtual classrooms is to extend the structure and services that accompany formal education programs from the campus to learners. The benefits of integration of ICT in education are depicted in Figure 1.